ADR for employment lawyers: lessons from the Civil Justice Council? Peter Frost, Partner in our London office, has published a post on our Employment Notes blog reviewing the current and potential use of ADR in employment disputes. The post, which was first published in the Employment Lawyers Association (ELA) Briefing March 2019, can be accessed here. As we have previously reported, Peter has co-chaired various reports on this issue by the ELA’s Arbitration and ADR Group. The findings of those reports are discussed in the briefing “Employment ADR: The future” prepared by our Employment team in 2018, which also considered data collected during the 2016-17 Global Pound Conference Series in the context of employment disputes in the key jurisdictions of Australia, France, Germany, Spain and the UK. If you are interested in discussing the use of alternative methods for resolving employment disputes, whether that be introducing a workplace mediation scheme or exploring options for resolving an ad hoc dispute, please do get in touch with Peter or your usual Herbert Smith Freehills contact. Following our report on the Global Pound Conference series, which brought together over 4000 stakeholders at 28 conferences worldwide, our analysis of the Asia Pacific results reveals different demands in Asia and Oceania. Six Asia Pacific cities hosted conferences to assess how dispute resolution can be improved: Singapore; Hong Kong; Chandigarh, India; Bangkok, Thailand; Sydney, Australia and Auckland, New Zealand. Each conference addressed the demand side (commercial party perspectives on dispute resolution); the supply side (what advisers and providers are delivering to commercial parties); the key obstacles and challenges; and what needs to be addressed to effect change. Region-wide, the data highlights that commercial parties want to use mediation and other ADR processes more, either alone or as an adjunct to adversarial proceedings. However, the data shows that the market is not responding adequately. As a result, mediation remains under-utilised, and actual use lags behind positive attitudes to it. Unless parties and their advisors actively take a different course (for example through inserting escalation clauses in contracts, actively proposing mediation at the point of dispute, or by following mandatory mediation protocols), there is likely to remain a perpetuation of the “same old processes” – litigation and arbitration. Read more analysis of the Asia Pacific results on our Asia Disputes Notes blog here. The Herbert Smith Freehills employment team has published a briefing examining the role of ADR within employment disputes, including considering the findings outlined in the recently released Global Pound Conference Report in the context of employment disputes in the key jurisdictions of Australia, France, Germany, Spain and the UK. The briefing discusses the availability – and pros and cons – of various ADR methods for employment issues in those jurisdictions. As we have previously reported, one of our London partners, Peter Frost, has co-chaired (with Paul Goulding QC of Blackstone Chambers) various reports on this issue by the Employment Lawyers Association’s Arbitration and ADR Group, and the article also reflects on those findings. Click here to read the briefing. Please click here to preview this publication. To request a copy of the guide, please email asia.publications@hsf.com. Our updated Guide to Dispute Resolution in Asia Pacific aims to provide answers to some of the basic questions a party unfamiliar with a particular jurisdiction will wish to ask when facing the prospect of having to engage in a dispute resolution process in that jurisdiction (including at the stage of negotiating contracts, when deciding on the choice of law and whether to include jurisdiction or arbitration clauses in favour of a particular jurisdiction). 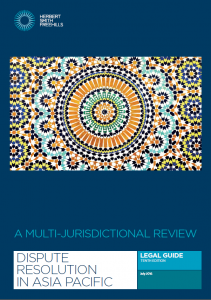 Amongst the range of topics addressed in the Guide, we asked local counsel whether parties to litigation or arbitration are required to consider or submit to ADR procedures before or during proceedings. We will feature the responses of the various jurisdictions in upcoming posts and cover our first five jurisdictions (Australia, Bangladesh, China, Hong Kong and India) below. Herbert Smith Freehills is pleased to announce the launch of The Global Pound Conference (GPC) Series 2016-17. The aim of this ambitious worldwide conference series is to build a global conversation about the current landscape of civil and commercial dispute resolution and how dispute resolution tools and institutions should respond to the needs of 21st century business. In particular, it aims to gather standardised and actionable data on what users of dispute resolution mechanisms need and want and whether those needs are being met. Over 25 countries worldwide have already committed to holding a GPC event, with more being added. The launch will take place at a two-day conference in Singapore on 17-18 March 2016 and the last event is scheduled to be held in London in July 2017. Other cities will include Hong Kong, Paris, Dubai, Madrid, Sydney, New York and Frankfurt/Berlin. The Series, which is being led by the International Mediation Institute (IMI), is being sponsored by Herbert Smith Freehills as well as other global partners: Shell, AkzoNobel, the Beijing Arbitration Commission (BAC), JAMS, and the International Centre for Dispute Resolution (ICDR). Mediation can be a useful tool in shareholder class actions as in other types of litigation. There are a number of obvious advantages to defendant corporations in particular: minimising legal costs, reducing further publicity and impact on share price, and avoiding the considerable distraction to the business of defending the class action to trial. However, there are certain issues and risks for defendants in shareholder class actions which are not necessarily found in other disputes and which pose some unique additional challenges for the parties when contemplating mediation. A recent decision of the English High Court has underlined the need for parties who have agreed to settle a dispute to specify very clearly if they intend that the terms agreed will not be immediately binding on them and will be subject to the negotiation of a more formal contract : Bieber v Teathers Limited  EWHC 4205 (Ch). Although the case was in the context of bilateral settlement negotiations via solicitors’ correspondence, the message applies equally (if not more so) to settlements reached through mediation or other structured forms of conciliatory ADR. It highlights that, provided the agreed terms are sufficiently clear and certain as to the parties’ obligations, the court will be loath to accept that the parties did not intend them to be immediately binding on them in the absence of clear words indicating that. As reported in our earlier post, here, the new Mediation Rules of the International Chamber of Commerce (ICC) came into force on 1 January this year, replacing the ICC’s Amicable Dispute Resolution Rules. The new ICC Mediation Rules are currently on a ‘world tour’ and were launched in Melbourne on 2 April 2014 (similar events have also been held in Singapore, Hong Kong and Sydney in recent weeks). The introductory address at the launch event in Melbourne was given by the Honourable Justice Clyde Croft of the Supreme Court of Victoria and the event attracted a number of other eminent speakers including Bryan Clark (CEO of ICC Australia), Hannah Tümpel (Senior Counsel and Manager of the International Centre for ADR at the ICC), John Rundell (Managing Director, Stratica International Pty Ltd) and Delcy Lagones de Anglim (Third Party Mediation). Following a successful mediation, parties usually prepare a formal agreement to record what was agreed. In some situations, the parties may initially prepare a less formal document, sometimes called a ‘heads of agreement’. Whether a heads of agreement is enforceable depends on whether the parties intended to be legally bound by its terms. An important factor in ascertaining the parties’ intentions will be how precisely the terms are drafted and whether the agreement contains any wording suggesting that the terms are merely agreed ‘in principle’. The future of legal education and practice: Should ADR be compulsory in legal education? Legal practitioners must understand which factors make ADR appropriate and must educate their clients to assist them in choosing the most appropriate process. This is particularly important now that some ADR processes are integrated with pre-trial litigation procedures. 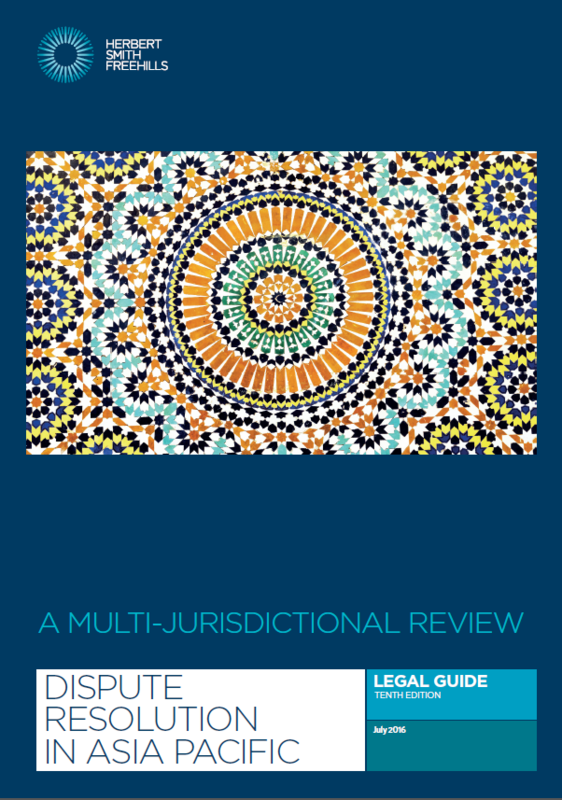 This requires a critical understanding of the advantages, disadvantages and strategic considerations of different methods and what characteristics of disputes or disputants lend themselves better to one or another form of ADR, if any. Herbert Smith Freehills LLP is authorised and regulated by the Solicitors Regulation Authority. The articles published on this website, current at the dates of publication set out above, are for reference purposes only. They do not constitute legal advice and should not be relied upon as such. Specific legal advice about your specific circumstances should always be sought separately before taking any action.